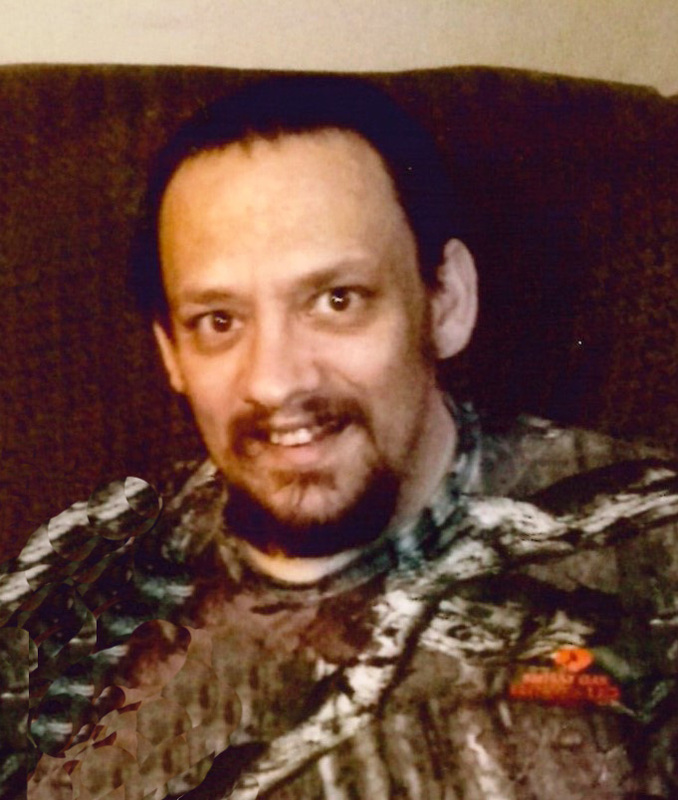 Jason Scott Faulconer, 45, of Pryor, Oklahoma entered Heaven’s Gates on early Monday morning, February 11, 2019. He was born in Muskogee, Oklahoma on February 2, 1974 to Russell Lee Faulconer and Marcy Pigg-Price. He grew up and attended public schools in Muskogee, including Tony Goetz, Alice Robertson and Muskogee High School. He later earned his GED. On March 26, 1994, he married the love of his life, Pennie Phillips, in his grandma’s living room in Wagoner, Oklahoma. They shared almost 25 years of a happy life and marriage together. Jason and Pennie are members of Oldham Memorial Baptist Church. Jason worked with Schenker Logistics as a forklift driver for several years until his health forced his early retirement. His hobbies included hunting, fishing, spending time with his family and witnessing for the Lord. He will always be remembered as a good son, husband, and father and also an amazing papa. He was preceded in death by his father, Rusty Faulconer; brother, Nathan Coffman; grandparents, Jack and Wanda Pigg, and Barbara and Winford Faulconer. Jason is survived by his wife, Pennie of the home; children, Cody Faulconer and Carlee Faulconer, both of Pryor; granddaughter, Bailee; mother and step-father, Marcy and Buzz Price of Muskogee; sisters, Lori Mabe and husband Chris of Muskogee, Chelsea Freeman and husband Colby of Muskogee, Lyndi Coffman of Muskogee, John Faulconer of Wagoner; sisters-in-law, Katherine Atkison, Julia Odle, Jennifer Atkison and Johnnie Atkison; stepbrother, Erick Price; stepsisters, Melanie Jones and husband Ryan, Tamara Parker and husband Erik, Emily Adams and husband Garrett; dad, Donald Coffman; mother and fathers-in-law, Jessie and Terry Jones, Johnny and Marla Atkison; numerous other family members and many friends. A celebration of Jason’s life will be 2:00 P.M. Friday, February 12, 2019 at Oldham Memorial Baptist Church with Pastor Glen Little officiating. Private interment will be in Three Rivers Cemetery at Okay, OK. Brady Eddington, Chris Mabe, Billy Baker, Colby Freeman, Greg Williams and Patrick McDaniels will be serving as pallbearers. Honorary pallbearers will be Erick Price and Erik Parker. Funeral services are under the direction of Cornerstone Funeral Home, 1830 N. York Street, Muskogee, OK. Condolences may be made to the family online at www.cornerstoneofmuskogee.com.